These reports are produced annually to fulfill the requirements of the federal law known as the The Jeanne Clery Disclosure of Campus Security Policy and Campus Crime Statistics Act (Clery Act) which was signed in 1990. It is SUNY Upstate Medical University’s policy to provide this annual report of crime statistics, safety information, and procedures to follow to report crime. Below are the Annual Security Reports for the previous 5 years. You may request hard copies of these reports at anytime by contacting the Chief of University Police at UPDCHIEF@upstate.edu OR by calling 315-464-4169. Please allow up to two weeks for reports older than 2 years. 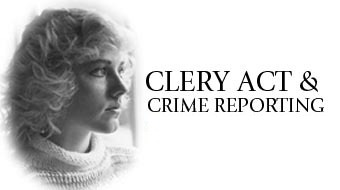 For more information on the Clery Act, please visit http://clerycenter.org/policy-resources/the-clery-act/.